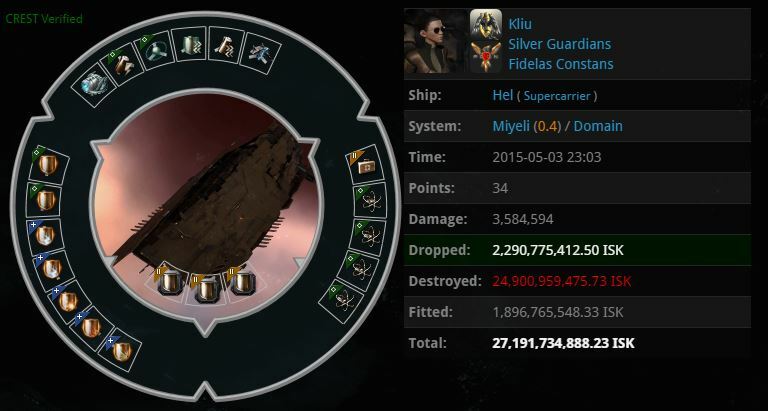 Compared to the #REKKINGRUSKI group who operates in Aridia and have only 2 days prior acquired their latest Nyx Super Carrier kill, the #REKKINGCREW lead by RoCkEt X last caught this Hel Super Carrier on April 22nd. Following on from the last kill they have now added another Hel to their Super Capital kill tally for the year, as explained below. The Hel, piloted by Kliu of the Silver Guardians [-SLVR] Corporation from Fidelas Constans [FCON] Alliance, was caught in the Miyeli system of the Domain region. A few days back, one of our scouts ran through a station-less system to find 3 other pilots in local – one of whom had a suspect timer. He immediately checked it out and found three supercarriers on scan; one Hel, a Wyvern and an Aeon. As he landed, The Aeon on the Hel vanished from space, apparently reaching the end of their safe-log timers. Our scout however was able to aggress the Wyvern pilot, breaking his safe-log timer and forcing him to take action. Given that this was late US timezone, where #REKKINGCREW normally lacks numbers to deal with spontaneous scenarios like this one – the team didn’t have a bridging titan in range to land HIC’s on the target. After a game of cat and mouse for several minutes, the Wyvern eventually cloaked up safely. Now we had an interesting problem. The alts we’d managed to find and track down were heading in an odd direction – and it meant the only place we could actually stage to hit their next midpoint… was the system they were currently sitting in… which is of course impossible to do without the target getting suspicious. 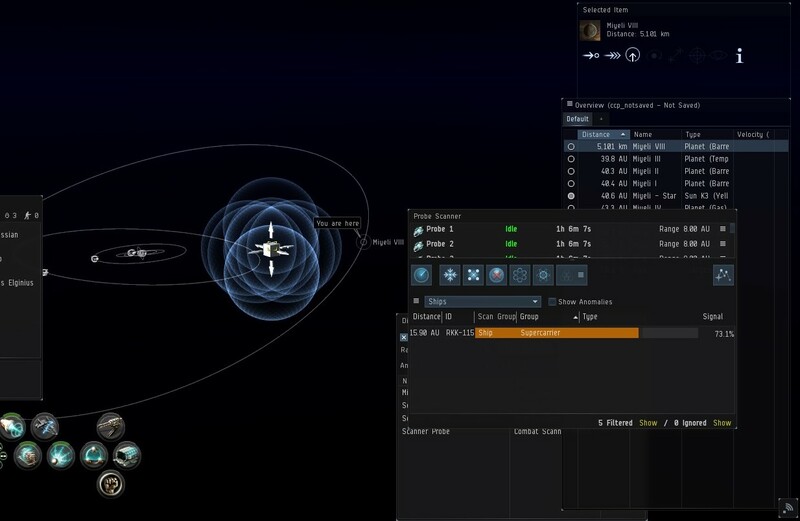 An hour or so later – even later into USTZ, but still before the euro guys wake up; the two ships that had successfully logged out jumped to the midpoint we had predicted – our covert eyes landed on the cyno; but there was nothing they could do without a bridge titan within range, and with so few numbers too. Some time later, all of the targets safely logged out. When I woke up in the morning I was briefed by Quickload (Who is also #REKKINGCREW’s #2, and one of the single most active and effective hunters of the group) and several members of the #REKKINGCREW group known as: Domain Research and Mining Inst. [ART0N]. They’d successfully tracked the targets to Miyeli; One had jumped further north and out of our range, another had stored his ship using a holding alt – and the Hel was logged out in space. During the afternoon we made the call to give these targets some attention over our other currently active kills. We had seen the Hel pilot log in several times that day. I sent a scout over and found a small POS in Miyeli. We assumed that the Hel had logged in and warped to the tower in order to A) Refit, and B) Eject so that he could switch corps. And then probably logged out in the POS. 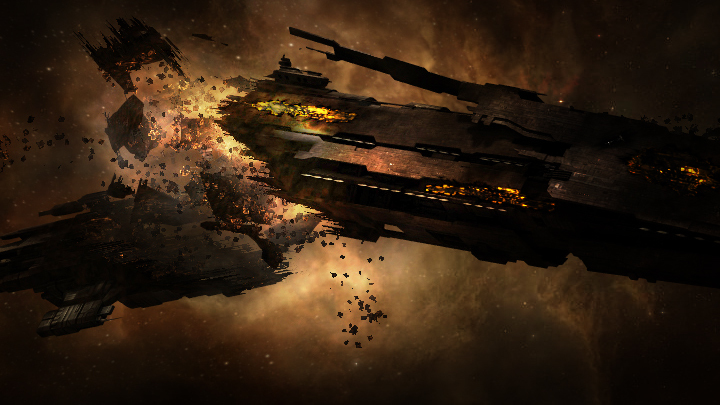 We waited until some members of the POS’s corp were online, then sent in a neutral dreadnaught to reinforce the tower, hoping the Hel would log back in… but he didn’t. An hour after the dread left system however – they sent scouts in. After another 45 minutes, the Hel logged back in – and I logged my scout in. The Hel wasn’t in the POS, but the system was huge so I warped across and was able to find him on directional scanner… I knew I didn’t have long. The target logged out, leaving his ship adrift in space for 60 seconds. I launched probes as soon as I landed out of warp and managed to get a 70% hit. I knew I may not have time to get a second hit so I took a screenshot for later reference. While this was going on, I gave the order to form and the team scrambled together. BLOPS pulling maximum range jumps, Supercaps and the bridge titan making consecutive jumps and HIC’s burning to the staging midpoint. Only 90 seconds after logging out, the target logged back in – He lingered a moment too long as he landed, and I achieved the 100% warpable hit. I landed at his spot with a HIC we’d burned from a few jumps out… decloaking him and lighting the cyno only moments later. Most traps set up by the #REKKINGCREW tend to go down by hunting the pilot, moving across space carefully investigating the route he will most likely follow so that the net can be prepared in advance. Clearly this time it wasn’t the same routine as expected but with the pilot logging in on their own accord with neutrals in local it was a big enough window for him to get caught. If the pilot had a cyno in place when he logged back in he may have had a chance to escape but obviously this wasn’t the case – or it simply wasn’t used in time. This is what I know and what he has told me. He joined Silver Guardians after returning from being inactive. One week ago he moved his super to the system the Hel was popped in. 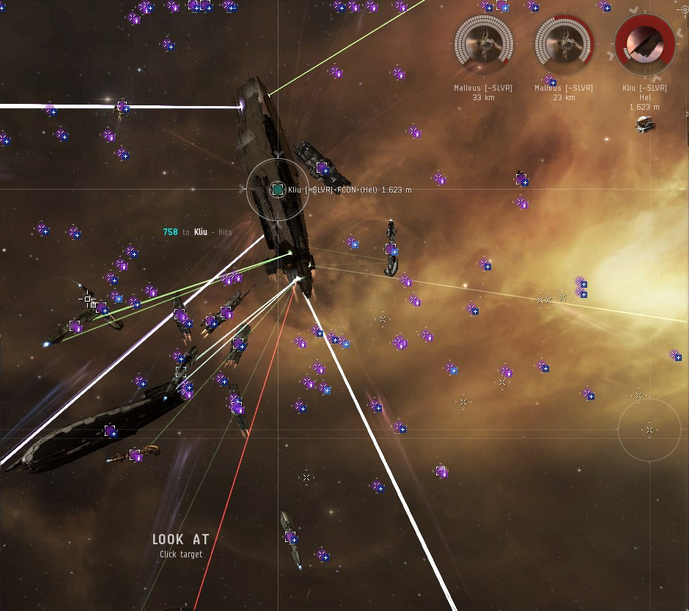 On the 3rd when the kill happened he logged in his super to set some skills, was cloaked at a deep safe 20AU from nearest celestisal and 5 mins later a Broadsword lands on top of him and lit a cyno. A while back PL tried to kill the pos it was being built in twice. My bet is they were tracking him somehow. The pilot and myself just returned to the game after 3 years away and got caught on his travels to the new corporation. This whole situation revolves around the EVE meta of having an account designed to hold those ships for other characters to use. The pilot merely removed the character that was no longer going to be needed as its purpose was forfeit. Clearly it was likely a shocking return to the game and hopefully one that will not have put off the pilot altogether. This does shed some light on it’s reason for travel, although it begs the question as to why this pilot logged off in space instead of either safe logging in the POS or traveling further north as the other 2 Super Carriers clearly did. Thanks a lot for giving everyone an extraordinarily terrific possiblity to read in detail from this website. It is often very fantastic and stuffed with a lot of fun for me and my office acquaintances to visit the blog at the very least 3 times a week to find out the newest issues you have got. And definitely, I am always contented with your unbelievable guidelines you serve. Certain 4 ideas on this page are definitely the most suitable we have all ever had. A person essentially lend a hand to make critically articles I would state. That is the first time I frequented your website page and to this point? I surprised with the research you made to make this actual submit incredible. Great job! I simply want to tell you that I am just all new to blogs and really liked you’re web page. Very likely I’m likely to bookmark your site . You surely come with fantastic writings. Kudos for revealing your web-site. Excellent web site. Plenty of useful information here. I am sending it to several buddies ans also sharing in delicious. And obviously, thanks to your sweat! Wonderful goods from you, man. I’ve understand your stuff previous to and you’re just too great. I really like what you have acquired here, really like what you’re saying and the way in which you say it. You make it enjoyable and you still care for to keep it smart. I can’t wait to read much more from you. This is really a wonderful site. There are hundreds of blog sites that needs talk about them. What is the objective of blog remarks? I am looking both for blogs that give impartial, well balanced commentary on all issues or blogs that have a liberal or left-wing slant. Thanks. I was just searching for this information for some time. After six hours of continuous Googleing, at last I got it in your web site. I wonder what is the lack of Google strategy that don’t rank this type of informative sites in top of the list. Normally the top sites are full of garbage. Thank you, I’ve just been searching for information about this subject for ages and yours is the best I have discovered so far. However, what in regards to the conclusion? Are you certain concerning the supply? Simply wish to share something. I require to send my blog sites to blog site sites with so many individuals reading blogs. That’s what I require the majority of. I’m looking for some actually good business blogs to add to my google visitor that are beneficial complying with on a recurring basis. Can you make as well as referrals? I have Seth Godin’s already. Thanks!. It would likewise be useful if you told me why you suched as these blog sites.